Sidebar: This blog post would not have been possible without the immense help of my friend Holly. She did the majority of the testing, research, and photo snaps you see here. So again, special thanks to Holly for making this possible! Before you read a single drop of this blog post, I suggest you go back first and read the DROPCAM VS WITHINGS blog post. Because that post was done just recently, and contains two of the four devices here, that will be the springboard for this new contribution. Once you’ve read that, come back here, and we’ll take a look at the two new devices. I’ll then conclude with some “updates” (long-term testing) of the Dropcam & Withings, and finally, wrap up with suggestions as to what device is best for you. Enjoy! UPDATE (Jan-25-2016): We’ve added more cameras in this segment to a NEW review that just went down. Check it out by clicking THIS LINK! 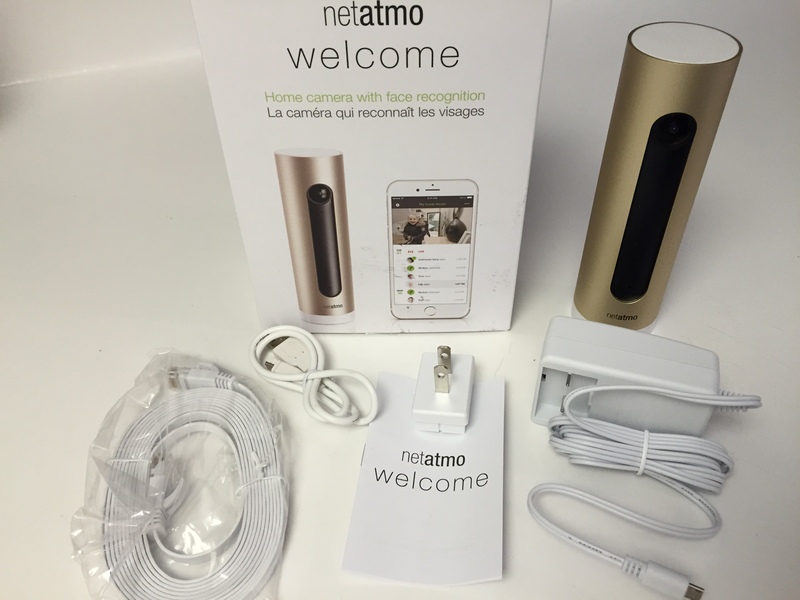 When we first learned about the Netatmo Welcome Smart Home Camera with Face Recognition back at CES there was much excitement surrounding the facial recognition. 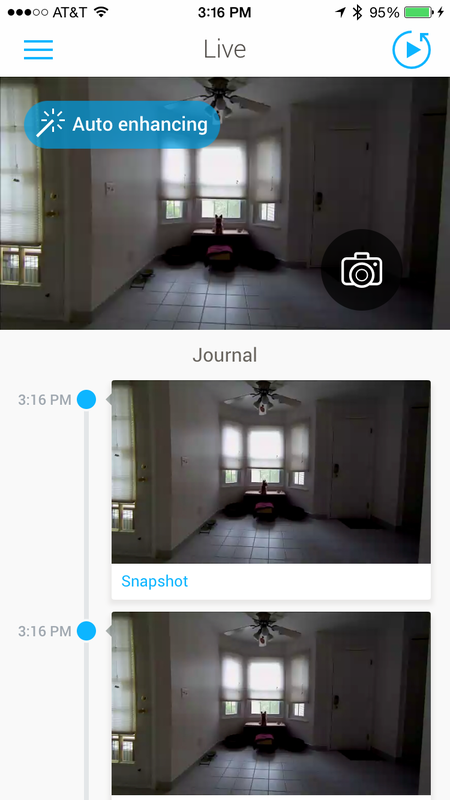 This feature alone has the potential to set the Netatmo apart from the competition, as no other camera in this segment/test boasts this specific feature. Hence we were very anxious to get our hands on this device. Our Netatmo Welcome had some “rattling” in the box when we got it. Upon opening, we noticed that the cardboard cradle that holds the camera was off a bit and teeter-tottering back and forth. Not a huge deal, but probably not something you want for your brand new gadget. Inside the box you’ll find the camera, a plug with the detached prong, a USB plug and an Ethernet cord for hard wiring if you prefer. Netatmo allows you to store your screenshots of events for free on the cloud, but it also has the option of storing your info on an included local Micro-SD card, a great added feature for those who wish to keep all of their info off the cloud privately. (Included is an 8GB card, but it can handle up to 32GB maximum). One thing we disliked during our setup was the fixed lens of the Netatmo Welcome when compared to all of the other devices here. At least with the Withings you had the ability to tilt up/down on the magnetic based. With the Netatmo you have to position the unit on a shelf that gives you proper height – no adjustments can be made. Worse yet, our unit seems to have the fixed lens not quite perfectly centered to the shell/body, which took some re-positioning to get just right during setup. Beyond that though setup was a breeze, as has been the case for all the cameras we’ve tested thus far. Just open up the app, create your account, and you’re on your way. One interesting part of the Netatmo Welcome setup was that it asks you to turn your camera upside-down so that it can start discovering your local camera. Turning it upside down triggers the blue pulsing light and then your camera is found. After that bit of strangeness, you click on the camera and start pairing it to your network. Also, like the Withings Home and unlike the Dropcam Pro or Nest Cam, you don’t need to put in your WiFi password, as it grabs that info from your phone. This is a nice expedite in the setup process! The camera does provide two tips during setup, but they seemed to contradict each other. The first one states to place the camera near the front door so that the camera can aptly capture faces. Fair enough, since that feature is what defines the Netatmo Welcome in the first place. But the second one was a problem: “be aware of lighting. Just like you, welcome has trouble recognizing faces in backlight.” During our testing we found that you had to be almost right up on the camera for it to clearly recognize your face. This is mirrored by the video right on Netatmo’s web site, where the little girl seems to knowingly lean into the camera and wave (to ensure it captures her presence and facial features). 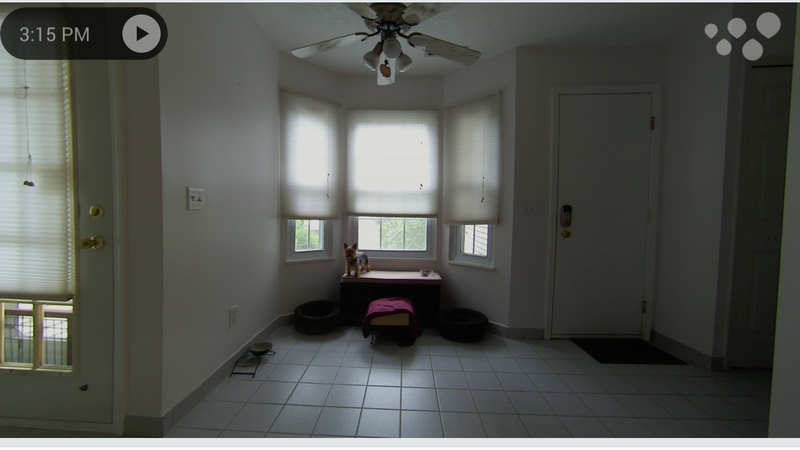 We noticed immediately that the camera adjusted lighting to handle the nearby window in view, such that people (and dogs) almost looked like mere shadows, washed out. This can be a big problem for the camera, rending it’s main and most important feature relatively useless. Compared to the Withings Home which had no way to be turned off, the Netatmo Welcome has that ability, which is nice for those who don’t want “big brother” watching all the time. 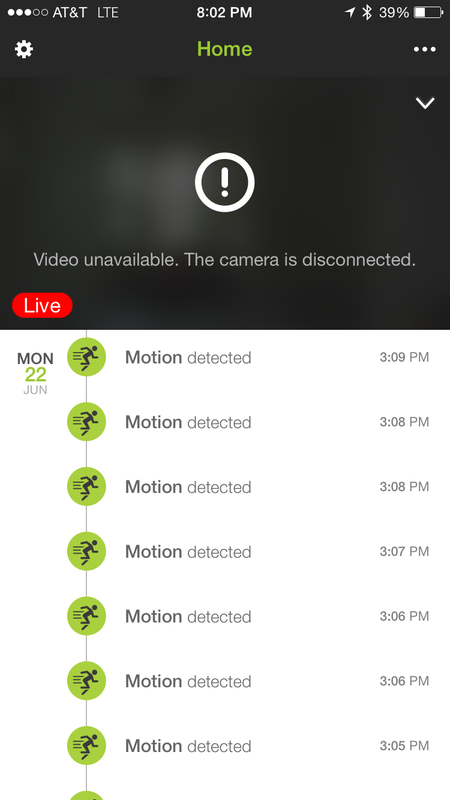 However, the Netatmo lacks a feature ALL the other cameras have here, which is two-way conversation. This might seem a gimmick to folks, but you’d be surprised how often you need to talk to the person at the other end. Rather than calling or texting them, there is something quite gratifying about being able to talk two-way on that fancy camera. Or yell at your dogs to get off the couch! Considering the price point of all the devices here is the same $199, Netatmo really needs to add mic/speaker hardware to their camera to keep up with the competitors. Although you don’t have the granular settings of motion or sound here, the Netatmo Welcome does at least allow you to configure when you want those notifications (never, always, or only when you’re away from home using the GPS on your phone). Though this worked properly, the device was hyper-sensitive, and we found ourselves inundated with too many alerts as you can see above. With the Dropcam/Nest for example, it would alert you but then wait a short time before another alert for the same area/movement. This meant that for pet-tracking the Netatmo was a bit overly sensitive, a negative in our book. Also, the inability to set restricted zones in the camera’s view might be a deal breaker for some folks. 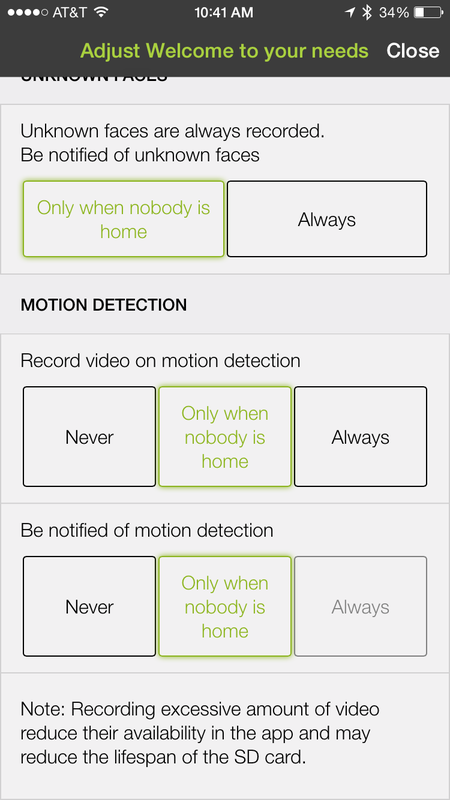 Also remember no microphone means no sound notifications, using motion only for the Netatmo. We loved the fact that the Netatmo offers a web portal, like Nest/Dropcam (Withings does not). However, the feed for the camera was slow, both on the web and our phone. Typically it was 20-30 seconds of latency before the feed loaded. However, during testing while out to lunch the other day talking, Holly & I noticed a MANY MINUTE delay. This time difference could be the difference between catching an intruder or not. In comparison the best (shortest latency) remains the Dropcam/Nest, followed by Withings, followed then by the Netatmo in last place. Video quality of the Netatmo was sub-par compared the others here, perhaps the worst of the bunch actually, but saying that would make you think it was poor. It wasn’t “bad” but it definitely trailed the others by enough to make us not recommend it at the top of our lists. Natural light really causes issues that darkened the important areas. We will test in alternate setting as noted, and update accordingly. For now, considering the primary purpose here is probably a security camera, or baby/pet monitor, you’ll want a camera with good quality and low-latency. This camera fails in both those regards, making the others better buys. We wanted to like the Netatmo Welcome more than we did… and the facial recognition is a cool concept … but for now, we’re placing it LAST in this comparison. We really like the Withings Home and the more time we spend with it the more it has grown on us. If your primary goal is home security, you may want to skip down to the “winner” of this comparison. All in all, the Withings camera is a great for monitoring more when someone is home (dogs, baby) because it has features that are great that people can enjoy when home: air quality, night light, lullaby. Like the Dropcam/Nest, the Withings Home has a mic/speaker and the audio quality was satisfactory for two-way conversions. This could be ideal for talking to your child, for example. (Which is another great place the air quality feature would be nice– a nursery). 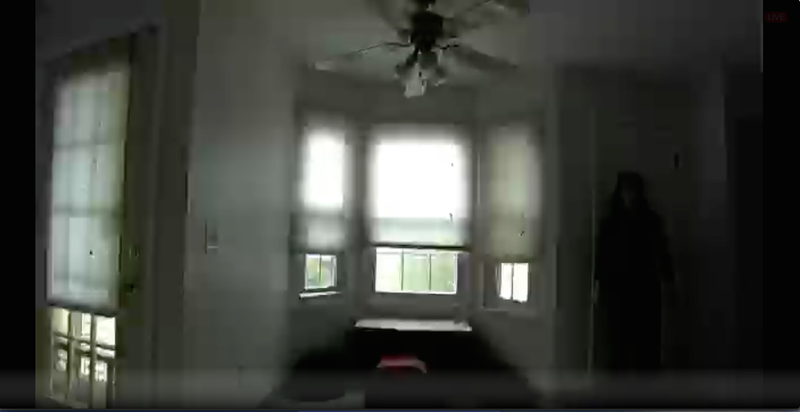 That is not to say the camera wouldn’t do well in other instances, such as home security, but it did have slightly longer latency than the Dropcam/Nest, and the video quality was good, but just marginally behind those as well. The Withings definitely bested the Netatmo, save for the lack of facial recognition. Overall the Withings app had a nice feel, and for the “average consumer” was a great option. You don’t have again the granular settings for adjusting sensitivity, and we found where the Dropcam/Nest captured slight motions better than the Withings, the Home captured slight sound better than the others. Again the inability to make those fine tune adjustments places the Home just a click out of being more of a tie for top pick. 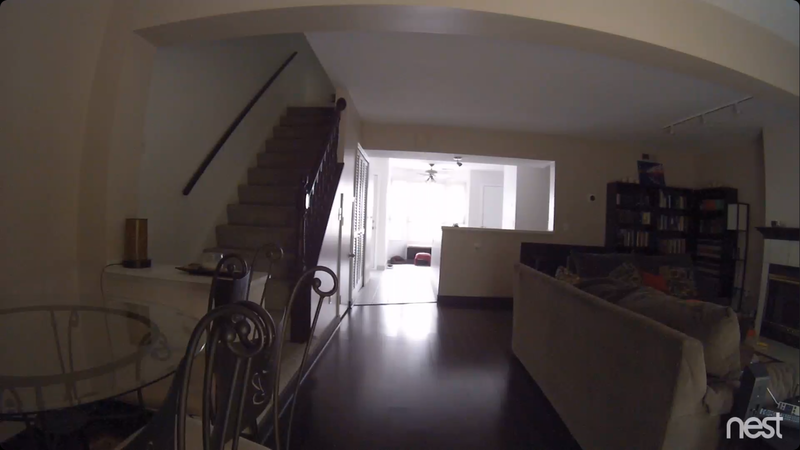 Those types of features make the Dropcam/Nest better all-around, and more versatile. Still, the Withings Home is a gorgeous piece of hardware, probably the most pretty and organic of all, making it the easiest to place in a residence without many questions from people. If you want just one or two cameras for your home, this is a great choice, and one that comes in a very close “second” in this battle. In January 2014 Google purchased Nest, maker of the Nest Learning Thermostat. 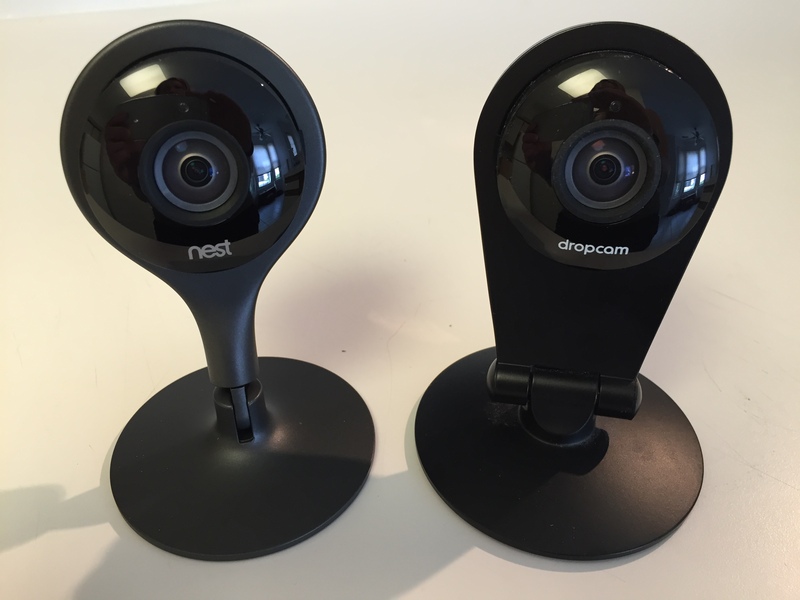 Later in that same year the subsidiary Nest purchased Dropcam, maker of the Dropcam Pro security camera. In recent months there had been some consolidation of the Nest/Dropcam brands, though the release of the new Nest Cam (see next section) is really the big deal here. When you attempt to go to dropcam.com it now redirects you to Nest.com and this is a good indication as to the future of the Dropcam brand. Additionally, a recent update to the Nest app (see photo, above) has consolidated these products. 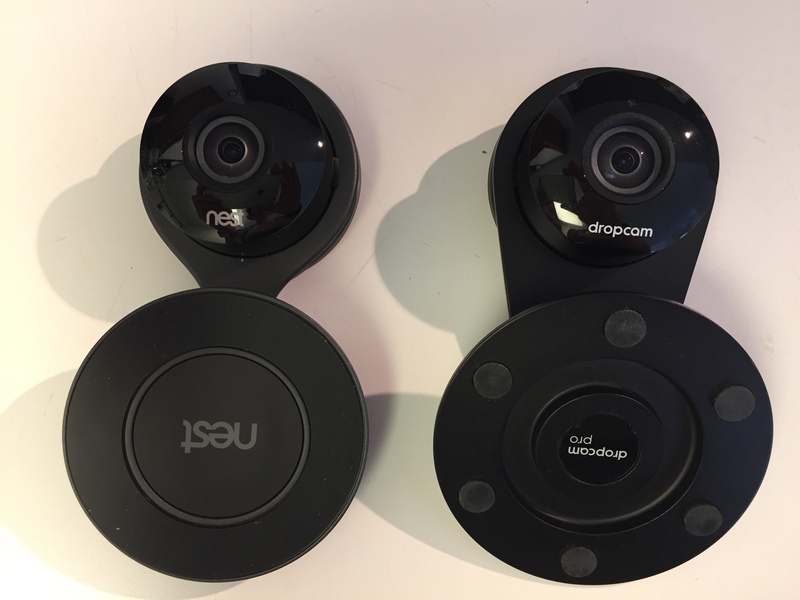 In our case, you’ll see two Dropcam Pro products (“OFF” in the photo), plus the new Nest Cam (top-middle). 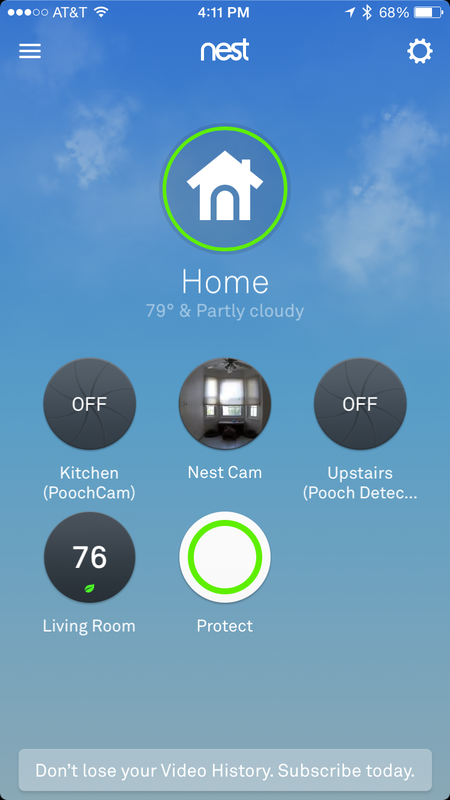 In this same app you also can see your Nest Learning Thermostat, and if you have any Nest Protect Smoke Plus Carbon Monoxide Sensors those would show up here now, too. In other words, all of the Nest-branded products reside in a single application. If you are a legacy Dropcam Pro user you can still use the old app (though how long that will continue we’re not really sure), but all old Dropcam users can access their cameras in the new Nest app too. We speculate that Nest will phase out the old app, and try to drive all users into the new, single consolidated app. This makes sense, as I also imagine we’ll see more home automation / smart home devices from Nest in the future, and we’re excited for that! 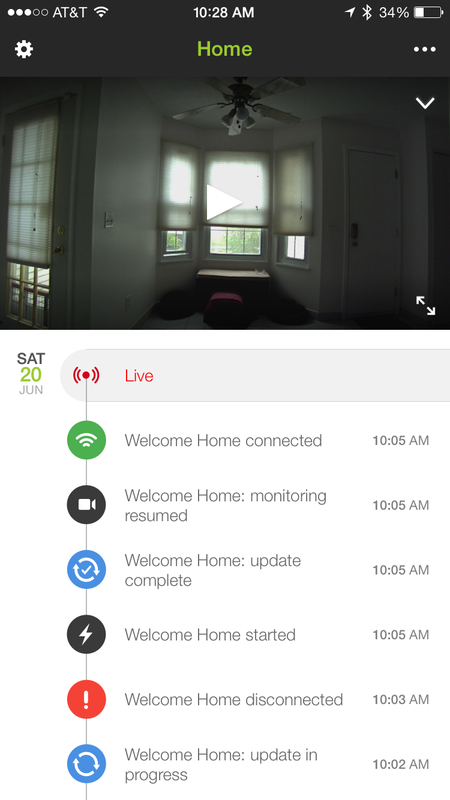 One aspect of the Nest app that we didn’t love (compared to the old Dropcam app) was the ability to see multiple live feeds at one time. Instead you have to drill into each camera, separately. You do get a small view (that little circle), but it just isn’t the same as the list of cameras, live, in the old Dropcam app. One can only hope Nest changes/improves this in the future. 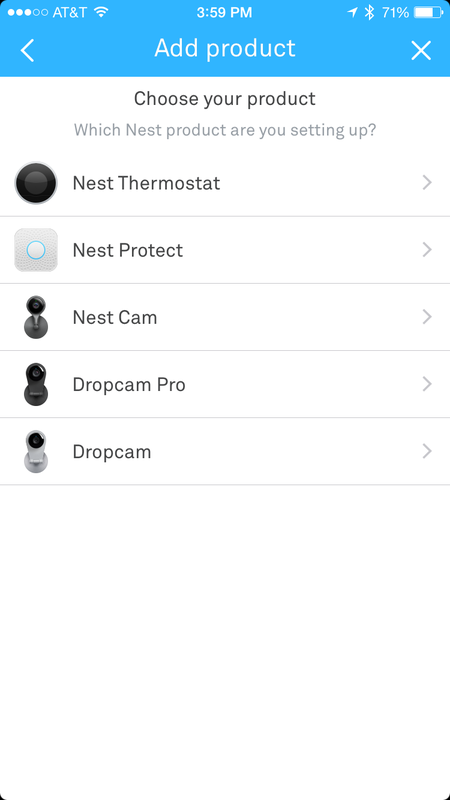 Since the Dropcam Pro is no more, replaced by the Nest Cam (see next section) it obviously doesn’t make sense to include it here. However, in the next section we will compare how the new Nest Cam compares to the old Dropcam Pro, for reference purposes. We will say this– if you already own a Dropcam Pro, the Nest Cam isn’t an upgrade as much as a linear move with just minor improvements. However, if you’re a new shopper, the Nest did win top pick, as we’ll now explain. Just weeks ago the Nest Cam was announced, so we jumped on the first batch of orders to get our hands on the latest device. As we were already huge Dropcam fans, this was a logical progression, and possible a good improvement from the prior device. We had previously found the Dropcam Pro the best wifi security camera, so how did this new iteration stack up? If you have bought any Nest products, then you will be familiar with this packaging, and if you have bought any Dropcam cameras, then you will be familiar with the hardware. You can definitely tell that this is the child of both companies. 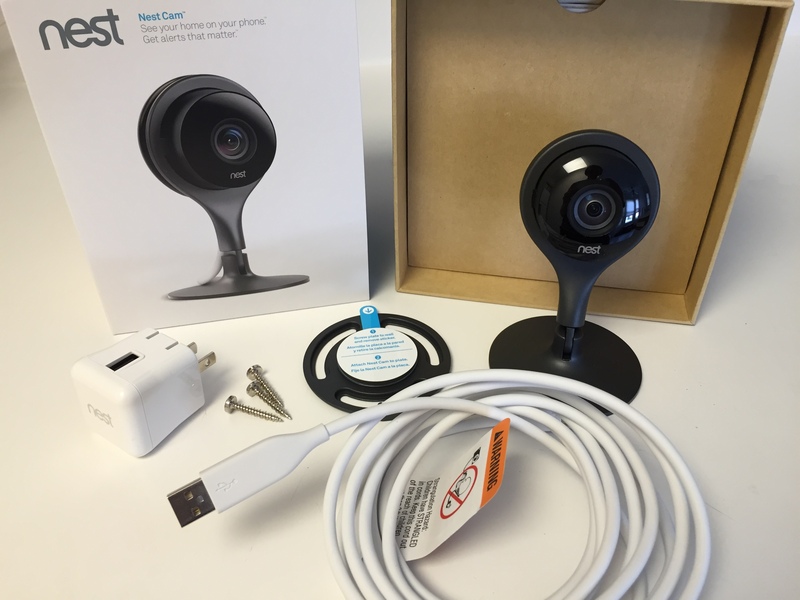 The Nest cam comes with a USB outlet receptacle, the long USB plug, the mount and screws and the camera itself. It comes neatly packaged in Nest’s standard glossy cardboard box with sleeve. From a hardware perspective, the camera is hefty. It felt slightly heavier than the Dropcam pro though it looks smaller. It just feels dense and well made and we love it. Not that the Withings or the Netatmo didn’t feel well made, but this device just felt very “serious” in a good way. Right off the bat we noted a big improvement on the Nest Cam in that is has a rubberized ring that goes fully around the circumference of the base. It feels very rubbery and makes you feel less nervous about any slipping. The Dropcam pro has six rubberized circles that do the trick, but as you can see in the photo comparison above, this continuous rubber helps add more surface area, more grip, and more stability. In comparison the Netatmo has no rubberized bottom for stabilizing at all, and the Withings has what looks like a rubberized bottom, but it’s practically useless. It twists to the whims of the plug often, as we’ve experienced. The Nest Cam has a much slimmer neck than the Dropcam, which looks great in person. We love the fact that you can now not only move the camera’s neck up and down like the Dropcam, you can now also swivel it from side to side. The lens also swivels (like the Dropcam Pro) for those who want to mount it sideways. If you have an application where you are mounting to the ceiling or other nook or cranny, there is no question that the Nest Cam offers the most versatile mounting. Both the Withings and Netatmo were very limited in their capabilities here, which is one of the many reasons the Nest rises to the top. 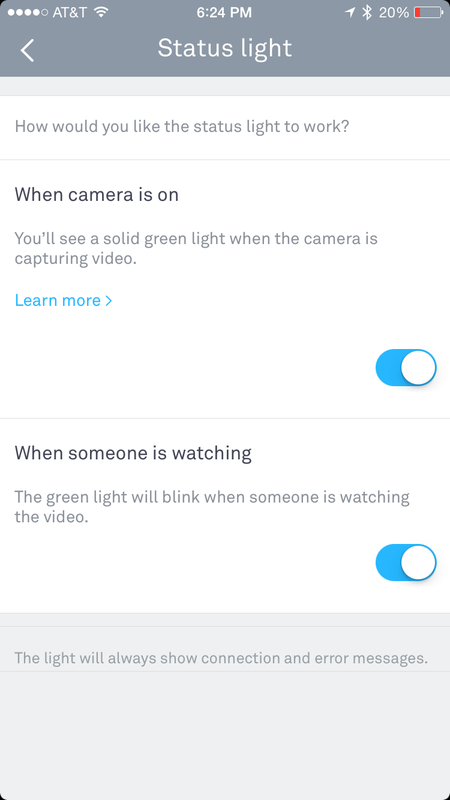 Unlike the Orange (connecting) or Blue (connected) status lights of the Dropcam, they changed it up slightly for the Nest Cam. Now you get a Aqua (setup/connecting) and Green (on/connected). 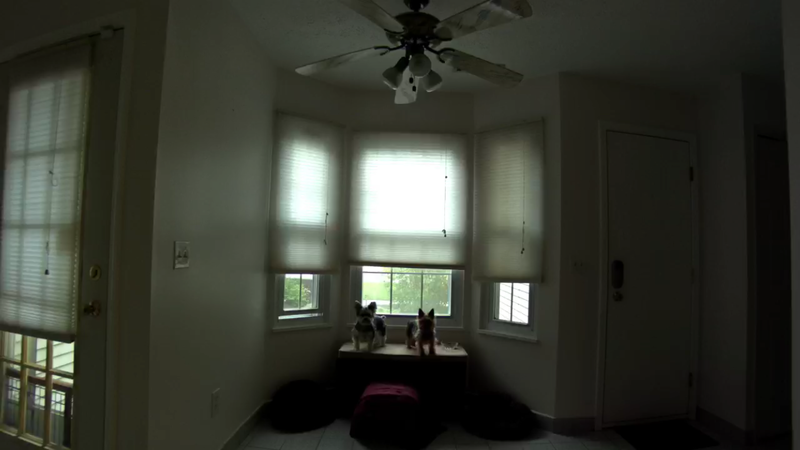 And you also have the ability to turn these lights off in the settings- a feature that is carried over from Dropcam. 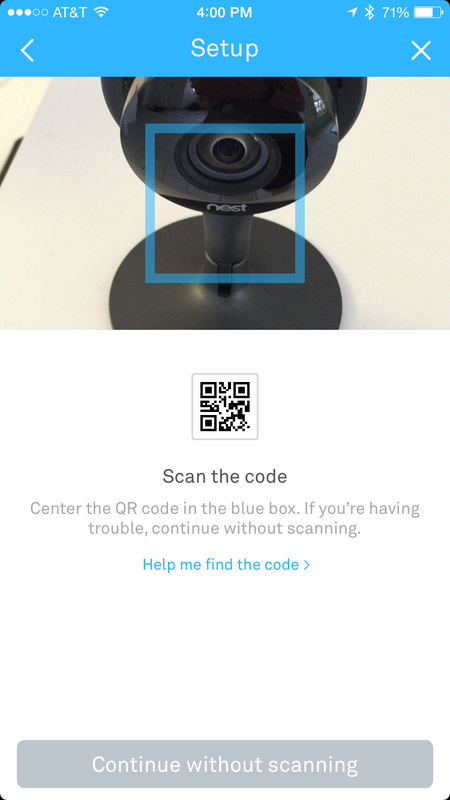 Setup is also very easy, scanning the QR code on the back of the device itself after you’ve setup your Nest account. 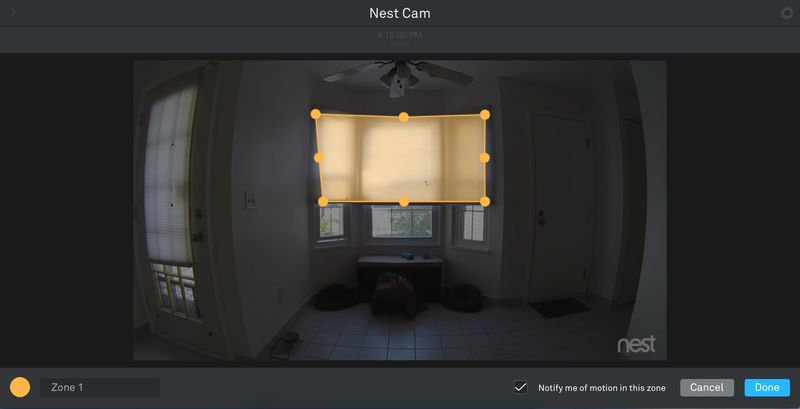 If you already have a Nest account, adding cameras is quite easy, as the image/list shows above. Netatmo and Withings boast quick setups, and that is true. One slow-down for the Nest setup is that you must manually input your WiFi settings (password), not a huge deal and maybe an added layer of security, but definitely not quite as swift as the others. Nothing we’d complain about, however, since this is a once-and-done sort of ordeal. We compared the audio quality (2-way talk) between the devices, and felt the Nest Cam was on-par with its predecessor, and still marginally better than the Withings device. (Again, not an option on the Netatmo). Video quality in 720 standard definition was again equal to the Dropcam Pro before it, but jump up to 1080 and the pixel density improvement was noticeable. This was especially the case when you zoomed into details, such as your resting dog (or your child, or an intruder). 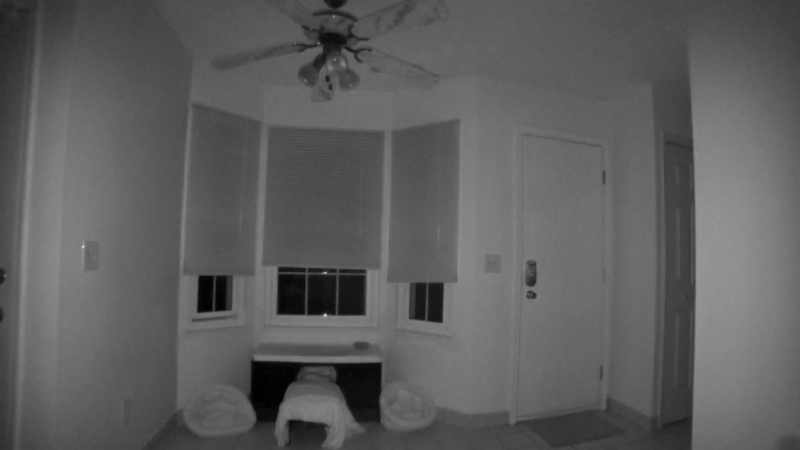 Night vision on the Nest Cam was again the best of the bunch, just like the Dropcam before it. You’ll want a good camera first (gimmicks second), and in that capacity the Nest Cam delivers, with crisp quality video in any lighting condition. Like the Dropcam, there is a web portal here. In that portal you can adjust areas on screen (see photo) to allow your monitoring to not have unnecessary false alerts. You can also adjust sensitivity still, for sound only though motion is coming we hear, which helps tweak your needs specifically. All of this takes the “security” side of the Nest Cam and elevates it greatly. If your monitoring needs are more basic in nature the Nest may seem like overkill, but in our experiences we found this adjustability was important. 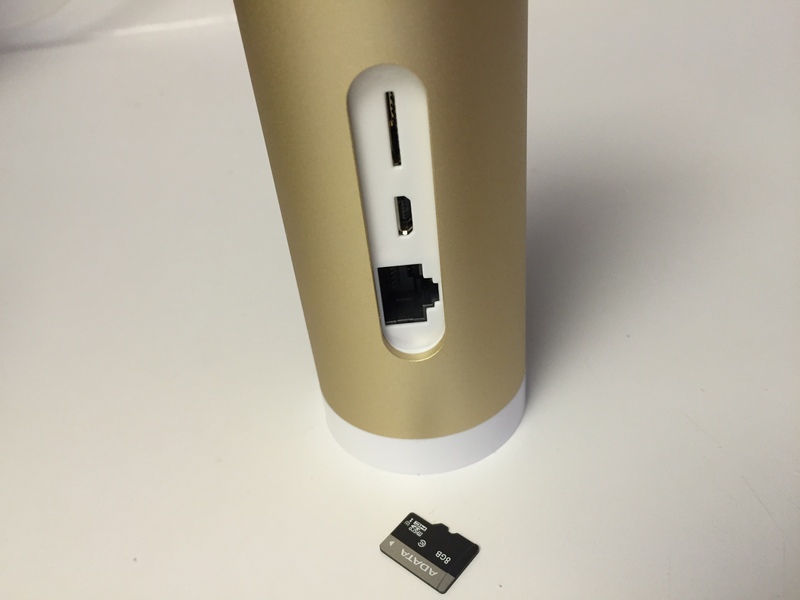 For example, the Netatmo received too many false that were annoying, and the Withings lack of a web portal made it hard to access in settings where your computer is more available than your phone. 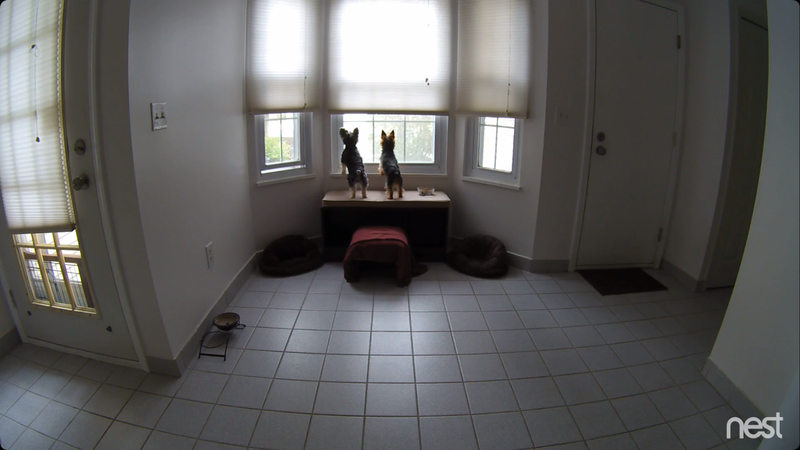 We tested the Nest Cam in various conditions, and found that the 1080 worked great in long-distance settings. We also loved the integration with our Nest Learning Thermostat, working as another access point to detect motion. Other cool features like Clips and Timelapse were just the right kind of “Extras” you’ll want from a device like this, without being too gimmicky. And like the Withings you have cloud recording services (at a cost) if you desire, which could be very beneficial for a business type setting. (Sidebar: We hope to test cloud recording with Nest Cam in the future in a business environment, and will post that in the near future). 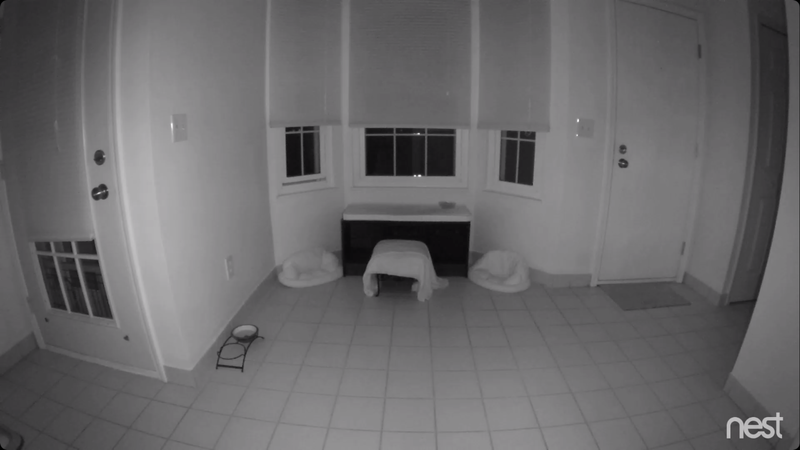 However, the Nest Cam isn’t without some fault. When you switch it to 1080 video there is a bit more latency, though it was still more than fast enough, and better than all the others. And if you really wanted the added pixel density for your security purposes, the trade-off was small and justified. When we set out to test these cameras we didn’t know what to expect. 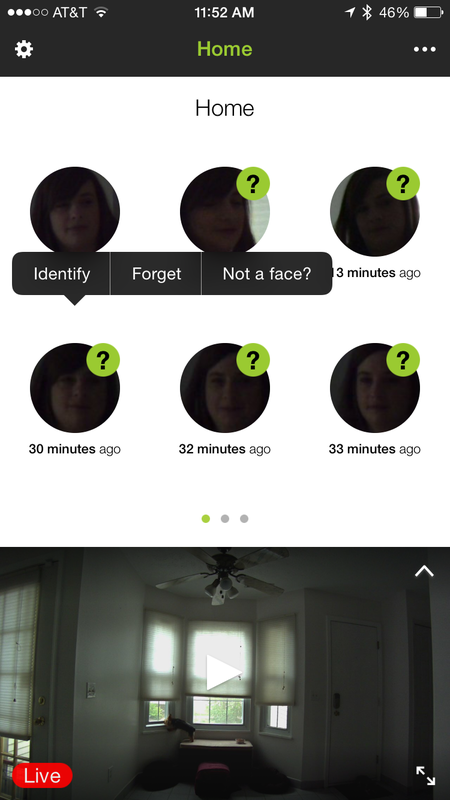 It seems logical to add facial recognition, but we found the Netatmo Welcome did only mediocre at that, and the video quality was sub-par next to the others. The VOCs (air quality) integrated into the Withings Home is a nice feature (if you don’t already have their smart scale), and it has a gorgeous housing. But in the end, there can be only one winner. For us that is the Nest Cam, taking top spot for its finite adjustments, versatile functionality and mounting capabilities, highest quality images, lowest latency, and overall best user experience. There are other cheaper monitors (security cameras) on the market today, though you often get what you pay for with this type of commodity. If you’re shopping for the best, run out and buy a Nest Cam, heck buy a couple of them. They are addicting, fun, and very useful. Again, special thanks to Holly for all your help and testing and photos! Ari, one thing I didn’t see in either of your comparisons, do any of these allow you to store photos/videos to your own private home cloud (NAS Storage)? As far as I know you only have the option of cloud or, in the case of netatmo, local storage. I don’t think you can designate storage to your own cloud service. Aaron, none of the three devices tested here offered 7 free days of cloud. Which device are you referring to there? In order to answer your question I’d need to know which manufacture or device you are asking about. As for a device that travels with you, that might not be as easy as you want. Typically these devices are sync’d to a specific WiFi access point. If you move it between work, and home, you’d essentially have to re-setup the device each time you moved to a different location. Though there may be a camera device that you can move easily, I’m not personally aware of which one(s) can do that exactly, sorry. Next Next post: Amazon Echo brings voice-recognition to the home, but is it better than Apple’s Siri?